It is telling of the path forward that Trump campaign manager Kellyanne Conway will be traveling to my home town of Fort McMurray, Alberta on January 12, 2017. The purpose of her visit will be to meet with members of the oil sands industry and have a private dinner. When we add this to the fact that the former CEO of ExxonMobile has been selected as the Secretary of State in the Trump administration, and the open statements supporting the final approvals of the Keystone XL Pipeline, it becomes obvious that Canadian oil will be playing a major role in the energy strategies of the United States. What many don’t know is that American oil companies domestically produce light crude and require a steady source of heavy crude to create a blend for the refineries along the gulf coast. Much of this heavy crude comes from Saudi Arabia with about 2.8 million barrels a day coming from the Canadian oil sands. With some of the ongoing OPEC negotiations on oil production cuts, it is estimated that some of the Saudi heavy crude exports to America could be reduced which would require the US to pull an additional 800,000 barrels of heavy crude a day from Canada. This could be the main reason for Conway’s visit and the Keystone approval. But something tells me there is more to the picture. Donald Trump has recently shutdown four different business ventures which some of his companies have been planning in Saudi Arabia. This may just be the result of minimizing conflicts of interest now that he is President-Elect Trump but there could be a larger interest which we should consider. The Saudi kingdom is becoming increasingly unstable with both internal divisions developing and external threats hardening. The war in Yemen is not going well and calls for holding Saudi Arabia accountable for war crimes are growing. Saudi’s all-out attempt to remove Assad in Syria by funding ISIS has seriously backfired and has left them exposed to even greater criticism. And ironically enough, Trump’s call to renegotiate the deal with Iran is developing as the greatest threat to the Kingdom. The differences between Iran and Saudi Arabia are where the real divisions in the Middle East exist. The presence of Israel is somewhat of a red herring as either Saudi or Iran would be willing to accept Israel under the right conditions – the art of a deal perhaps. It becomes even more interesting when we consider that George Soros helped package and sell the Iranian nuclear deal which Trump is now stating needs to be renegotiated. When we begin to break down the components of this developing and emerging strategy we can see that George Soros and his Open Society Foundation have aligned themselves with what they thought was the winning side. The election of Trump and the over-throw of the American establishment from within have seriously weakened this “winning” strategy. As we reviewed in the first part of this series, the mandates of a Trump administration are in direct opposition to the mandates of George Soros and the Open Society Foundation. This includes Trumps relationship with Israel while George Soros is funding groups attempting to influence internal politics within the nation. It also includes the Soros support of Saudi Arabia and the removal of Assad in Syria for the benefit of a natural gas line into Europe. What we are also witnessing is the aligning of interests between a Trump America and a Putin Russia. Late last year Russia banned the Open Society Foundation from operating within its borders. This tells us that Putin understands the real nature and purpose of this Soros funded foundation, which is to overthrow governments and engineer cultural transitions based on the liberal mandates as expressed in the book The Open Society & Its Enemies by Karl Popper. Poppers book was first published in 1945 and Soros has expressed numerous times how this liberal philosophy has shaped his beliefs and goals in life. Popper condemns totalitarianism and capitalism but was also a big supporter of communism in the Soviet Union. This runs parallel to George Soros who did business with the Nazi’s and has grown rich from the abuse of capitalism. Both Popper and Soros stand as contradictions to their very own expressed values. This is not that rare. Ideological agendas are often used as smoke screens to mask the unfavorable actions of elites. One need only consider Soros support for Saudi Arabia to understand the contradiction. Values to hell when one can make a profitable business deal with a totalitarian regime. Egypt is now finding itself at odds with Saudi Arabia and could very well be planning a wider strategy to remove the House of Saud. After suffering a “color revolution” which was funded by Soros and the Open Society Foundation, the Egyptian government has been reevaluating its position since the election of Trump. As stated in Part One, this is another sign of the trend which is beginning to take place. This is further supported by the fact that the war against Syria has served to push Egypt and Iran closer together. What we are beginning to see is a developing alliance with America, Russia, Syria, Egypt, Israel and Iran on one side, and Saudi Arabia becoming increasingly isolated in a changing Middle East balance of power. This is offset somewhat by China developing stronger relations with the Kingdom. How this plays out between Russia and China, and the BRICS group on a larger scale, will have to be seen. But it should be noted that Soros is a supporter of China. George Soros and the Open Society Foundation are running out of friends fast. The connections between Soros and the Carlyle Group on selling arms to Saudi Arabia only adds further depth to the vastness of the Soros business interest and foundation manipulation. Don’t expect the take down of George Soros to be fast. It could be but I would tend to think that it will take place one business deal at a time and one new trade deal at a time. The intricacies of Soros investment and business interest run around the globe. New trade deals and alliances will cause a shifting of wealth and it is in this shift where the most damage will be caused to Soros. The Open Society Foundation itself is obviously the extension of the ideology masquerading as a philosophy which was presented by Karl Popper in the book The Open Society and Its Enemies. This book is basically a blueprint of the liberal agenda which has spread around the world since 1945. This coincidently aligns with the start of the USD hegemonic Bretton Woods Monetary System. I would suspect that changes to the world monetary system will also impact these liberal strategies and effectiveness on mass population. More and more pieces are beginning to fit into place. The new developing alliances and unraveling of the liberal agenda around the world are two important pieces which we need to understand. Let’s keep our eyes on both Iran and Egypt, as I feel confident that the next big shift will take place from those nations. The fragmentation of Saudi Arabia is all but a forgone conclusion as far as I’m concerned. How China reacts to this will have to be seen. But I suspect they will negotiate for their own greater good. 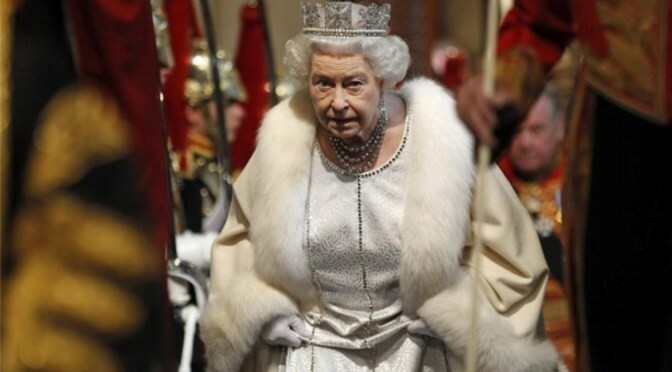 And Should Canada Dump the Monarchy and Become a Republic? The MoveOn.org progressive advocacy group is also funded by the foundations of George Soros. Its purpose is to raise millions of dollars for liberal candidates and is behind such liberal propaganda as comparing political opposition to Hitler. We have seen these comparisons from Russian leader Vladimir Putin to most recently with Donald Trump. Soros also funds the progressive think tank Center for American Progress. The CAP has provided talking points to the Obama Administration and former White House Chief of Staff John Podesta even heads up the group. Obama’s staff consisted of a large percentage of CAP personalities. Some of the foundations historical successes have been the collapse of the Soviet Union and the Arab Spring which further fragmented the Middle East and caused massive death and the ongoing migration problem which is affecting the whole world. The amount George Soros gives to the liberal international agenda is billions, but still only a fraction of his reported $23 billion worth. Most nations have some form of law or regulation which prevents foreign entitites from funding and influencing elections. The way the Open Society works around this is by establishing domestic foundations within nations with no direct ties to the larger parent. These groups are funded by the larger Soros foundation which serves as a third party. The domestic foundation can then work to influence the elections within the country because once the money is given to them it is no longer considered foreign money or influence. This needs to change. So in most cases it is impossible to determine if foreign interests have influenced Canadian elections, or the elections of other nations, because none of the funding has to be registered or reported to the governments of those nations. 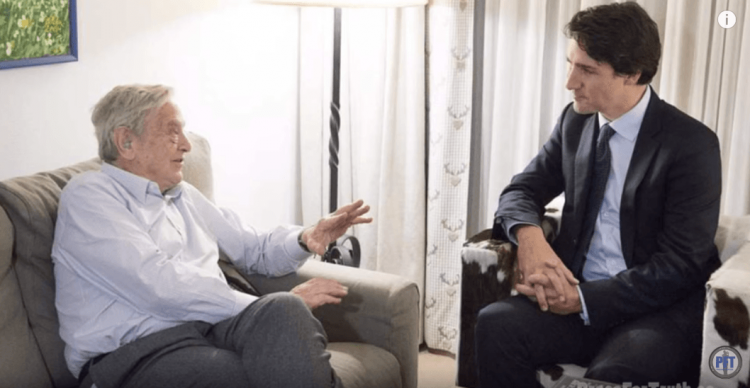 George Soros is evening funding a progressive war against Israel and has, for all intents and purposes, successfully infiltrated its extreme environmental agenda into the Catholic Church. There is no political ideology or religion which is off limits. The liberal-left international agenda has even taken control of the United Nations over the last few decades and is now attempting to force a loss of sovereignty on member nations through sustainable development planning, such as Agenda 2030. Since that post the home nation of Soros Hungary has also enacted legislation to ban the Open Society Foundation and all subsidiary organizations and those who receive funding. Macedonia has also started a massive movement called “Stop Operation Soros” which is meant to remove all traces and influence of the foundation from its internal politics. This war against George Soros is only just beginning. President Trump will be taking action against Soros in the weeks and months to come, as will other nations. 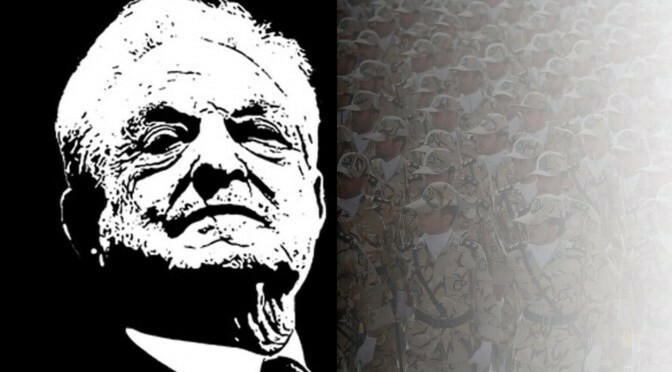 In part two of The Take Down of George Soros has Begun we explore how the next stages of this take down may look, everything from Iran becoming the dominant regional power in the Middle East to the collapse of Soros friendly Saudi Arabia.